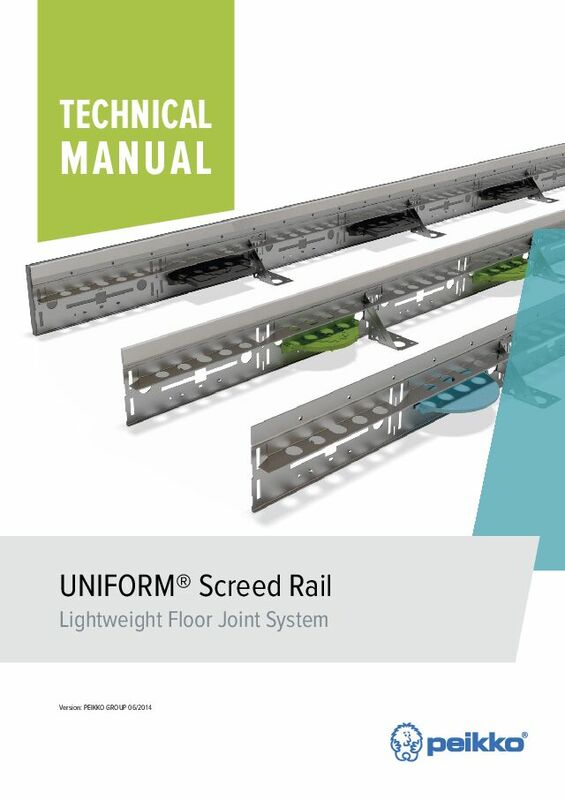 UNIFORM® is a modular formwork system with an integrated load transfer system which can be used as a screed rail, a perimeter shutter or to form either expansion or contraction free-movement joints in concrete floor applications where armoring of the joint arris is not a requirement. UNIFORM® can also be used for construction of restrained-movement and tied joints. UNIFORM® is a prefabricated leave-in-place formwork system designed for constructing free-movement joints or restrained-movement joints in concrete slabs and deep-section screeds. 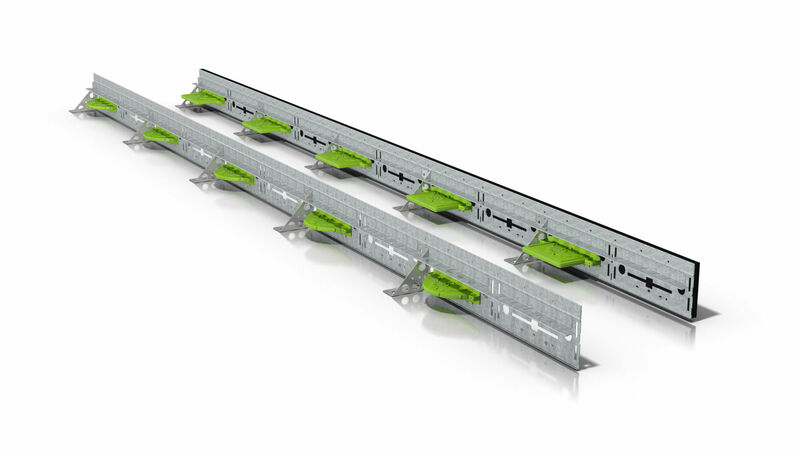 The system consists of permanent formwork, a load transfer system, a top extender and adjustable installation feet. 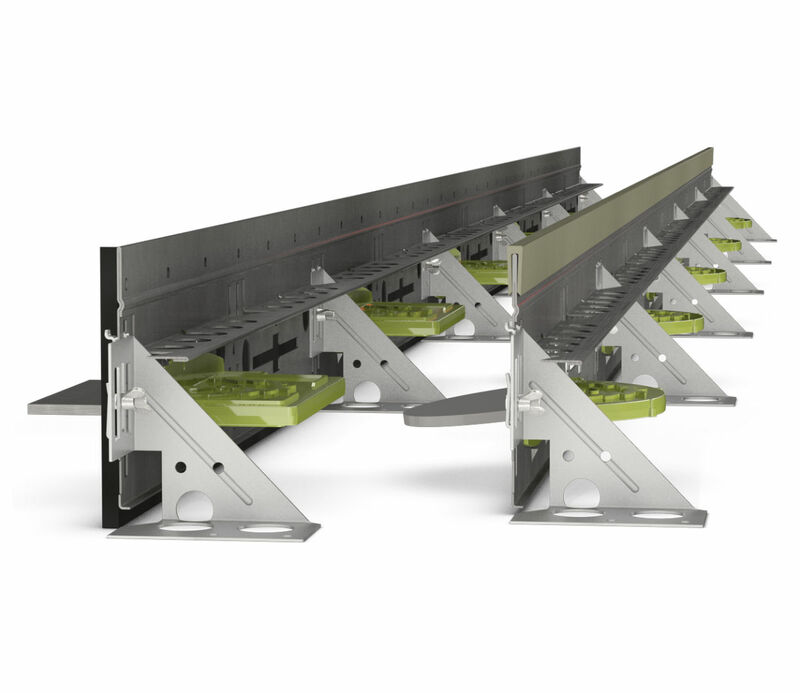 The UNIFORM® system permits free slab movements caused by drying shrinkage and thermal variations both longitudinally and perpendicularly to the slab plane. 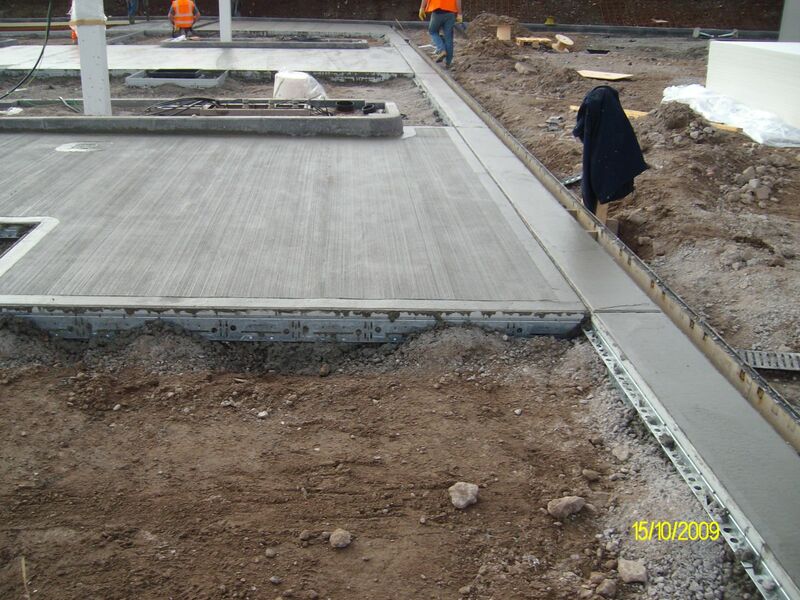 It also transfers vertical loads between adjacent slabs and minimizes the vertical displacement of the slabs. UNIFORM® is suitable for slab depths from 150 mm to 180 mm with contraction joints and for slab depths from 150 mm to 200 mm with expansion joints. The UNIFORM® system can be supplied as a fully assembled ready-to-use product, or in kit form, for simple assembly at the work site. The system is quick and simple to install by using adjustable installation feet, which allows very precise height adjustment. UNIFORM® has a range of accessories available to enhance its performance in differing applications. TDC 5 is a circular dowel system recommended for construction of ground bearing contraction free movement joints with joint openings of up to 10 mm. TDR 6 is a rectangular dowel system designed for construction of ground bearing expansion free movement joints with 15 mm initial joint opening, which is sufficient for all climatic regions. UNIFORM® EX is ideal for forming expansion joints without edge armouring. It provides effective external expansion joints, as it can be fitted with 15 mm thick closed cell compressible foam. The rectangular sleeves in combination with TDR 6 dowels allow 15 mm expansion movement which is sufficient for all climatic regions.